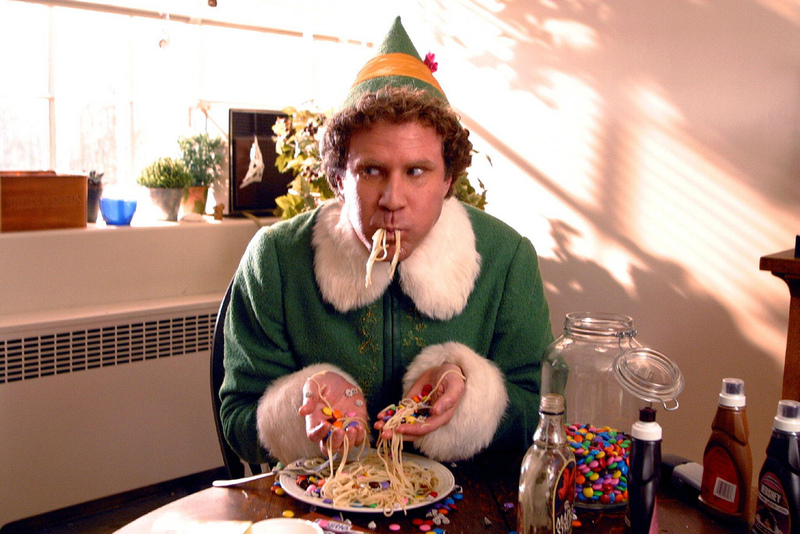 3 Important Adoption Lessons We Learned from "Elf"
“Elf”: It’s undeniably a modern Christmas classic. Who doesn’t love the story of the human raised by elves who journeys to New York City and ends up saving Christmas? But, in re-watching our favorite Christmas movie to usher in the holiday season, we found out there’s more to “Elf” than a simple Christmas tale. It’s actually a great telling of one adoptee’s story to find his biological family and, in turn, himself. That’s right — In case you forgot, Buddy the Elf is adopted and spends a great deal of the movie building a relationship with his long-lost birth father and his extended family, learning along the way exactly what it means to be uniquely himself. If you haven’t watched “Elf” yet this season, get to it! It’s a great opportunity to talk about some important adoption topics, and your adoptees will love seeing themselves represented on screen by one of the most lovable holiday characters there is. For those who don’t know (or need a little refresher), in the beginning of the movie, a small infant sneaks into Santa’s bag and arrives at the North Pole. Papa Elf, who describes himself as always wanting a child but never having the chance, adopts the child as his own, naming him Buddy. Before too long, it becomes obvious that Buddy is not an elf, as he’s been led to believe, but instead a human. He doesn’t quite fit in with the other elves and can’t perform the same toy-building tasks they all excel at. The other elves call him “special” after he is demoted to toy-testing. There, Buddy overhears the truth — that he is not actually an elf, which comes as a huge surprise to him. While it is a running joke that 6-foot-tall, 30-year-old Buddy doesn’t recognize he’s human, it’s also a good opportunity to point out the damage involved in keeping his adoption a secret. Papa Elf admits that he should have told Buddy a long time ago that he was a human, and it’s obvious that Buddy is upset at this news. It’s something for us all to remember: Adoption should be celebrated, not kept secret, and all adoptees should know their stories from early on in their lives. Buddy Finds His Birth Father! When Buddy learns about his adoption story, he’s told that his birth mother placed him for adoption without his birth father’s knowledge. While his birth mother has died, Papa Elf tells Buddy that his birth father is alive and well in New York City — except for the fact that he’s on the naughty list. So, like many adoptees, Buddy sets out to meet his birth father, Walter. His birth father is completely thrown by Buddy’s announcement that he is his biological son and doesn’t initially believe him. It takes a couple of meetings between the two and an eventual DNA test before Walter understands that Buddy is indeed his biological son. Buddy’s meeting with his birth father is a great example of how not to conduct modern adoption reunions. Even birth parents that know about their birth children deserve as much respect and honesty as adoptees. Adoption experts today would recommend reunions progress slowly once birth parents are located, starting with an introductory message or email and indirect contact through that medium until both parties are comfortable with an in-person meeting (if they ever are). As an adoptee, Buddy has understandably unrealistic expectations for his first meeting with his birth father. The expectations are informed by his childhood in the ever-jolly North Pole, but they are also normal emotions for any adoptee to have. Many adoptees in closed adoptions spend their childhood making up stories about who their birth parents really are and what their eventual reunion will be like, only to be let down when those expectations aren’t met. Buddy and Walter’s relationship goes through many ups and downs before it’s anything resembling healthy. Buddy puts too many expectations on his birth father, while Walter has to overcome the shock and surprise of a biological child he never planned for — one who is convinced he’s an elf from the North Pole. Buddy Discovers Who He Really Is! Like many adoptees, Buddy puts a great deal of emphasis on who his birth father is and what that means for him as an adoptee. When he discovers he’s a human, Buddy also must discover who he really is — and, initially, he looks to his birth father for guidance and answers. Identity is a challenge that many adoptees struggle with as they grow up, even if they have open adoptions. Buddy is no different. He not only has to struggle with the concept that he is not who thought he was for the last 30 years but also with the knowledge that the world isn’t as joyful as it is in the North Pole. It’s as much a shock for him as Walter’s shock when he discovers he has another biological son. After Buddy disrupts Walter’s important work meeting, Walter loses his temper and disowns Buddy. Confused and upset, Buddy leaves a note and runs away from his newfound family, lamenting that he doesn’t seem to belong anywhere. It isn’t until Walter realizes his mistake and chases after Buddy, and after Buddy helps save Santa Claus from a crash-landing in Central Park, that Buddy realizes he is loved and important just the way he is. It’s a great ending for a Christmas movie but holds special meaning for adoptees like Buddy. Adoptive parents, take note: “Elf” offers many great talking points for you and your children, wherever they are at in their personal adoption journey. So, sit back with your family and some hot cocoa and enjoy a new holiday tradition!